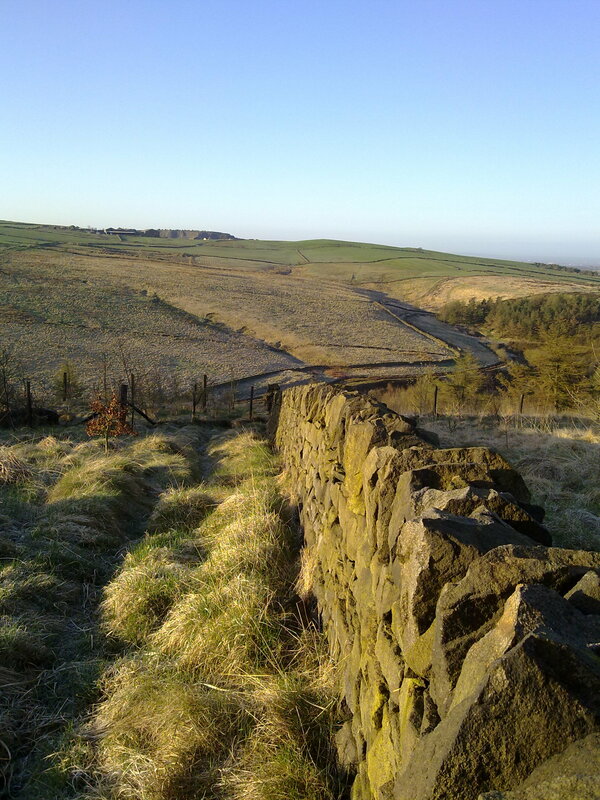 The Friends of Crompton Moor are a conservation group with an interest in the welfare of the environment, flora and fauna of the area generally known as ‘Crompton Moor’, that lies between Shaw and Saddleworth, in the borough of Oldham. In short, we are a volunteer group, prepared to work with the local council or any other party who have influence over, or interest in the future and well-being of Crompton Moor and its immediate surrounding area. For a longer, more detailed version of what we are about, there’s some more stuff below…..
Friends of Crompton Moor was first formed back in 2009 by a group of users and residents who simply wanted to protect the Moor from any kind of development which would disturb the peace and tranquillity. We are now recognised by Oldham Council as a Conservation Group working toward, not only protecting the wildlife, but also enhancing it for the benefit of future generations. Our members are from a variety of backgrounds; some bring with them a great deal of experience and knowledge; whilst others are enthusiastic to learn as they go along. Currently working alongside the council in order to assist with aspects of maintenance, protection and enhancement, we are grateful for the assistance that their Countryside Service provides in the form of knowledge and training. A big ‘Thank you’ is also owed to the OMBC District Partnership for recently providing us with around £500 worth of tools to enable us to carry out vital maintenance work. We would also be only too happy to work alongside Rochdale MBC and United Utilities in order to assist them in their capacity of adjoining landowners. We have the capacity and ability to raise funding for environmental and biodiversity projects, in order to assist with the further development of the Moor. Liaising with police and fire services concerning crime and vandalism on the Moor. We meet regularly, not simply to discuss business and events, but also as a social event. Please get in touch if you want to come along to a meeting.